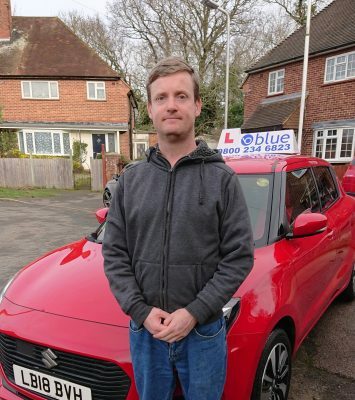 Matthew Giles has been a driving instructor for some time now and his pupils highly recommend him Matthew provides driving lessons in the Twyford area. Matthew also teaches driving lessons in these areas Reading, Twyford, Ruscombe, Woodley, Charvil, Caversham, Earley, Hare Hatch, Hurst, Henley, Littlewick Green, , Sonning, Reading, Waltham St Lawrence, Wargrave, White Waltham, Winnersh, Woodley and surrounding areas. One of our Local Manual Car Driving Instructors Matthew Giles. Driving in Twyford, Berkshire requires the utmost concentration as there are very busy roads, especially during peak hours. By learning how to drive in Twyford, you can familiarise yourself with the road layout in preparation for your test, and navigate confidently regardless of certain driving conditions and road systems. To make sure that your driving skills are top-notch you need the help of a good driving instructor. So what are the best qualities that you should look for in driving instructors in Twyford? You need to look for a driving instructor in Twyford who has already been in the industry for a long time. They must have extensive experience on the different roads in Twyford, and how to manage driving during peak hours if this is when your driving lesson is. A good and experienced instructor is also someone who knows exactly what to expect from you, especially if you’re still a complete beginner. They do not force you to learn everything at once. In fact, they are experienced enough to know exactly how to customize your training and lessons to suit your specific skill level and needs. They must be proficient and knowledgeable enough about the road conditions and rules, legislations, and other important factors related to driving in Twyford. Their up to date knowledge will make it easier for them to teach you everything that you need to know to pass the provisional driving assessment successfully. Fortunately, all our driving instructors here at Blue Driving School have all the mentioned qualities and more. We have excellent communication skills and a good sense of responsibility. Furthermore, Blue Driving School has been in this business for a long time, so expect us to be fully capable of teaching you everything that you need to know about driving in Twyford.